This year’s entries into the WARC Prize for Asian Strategy show how influence, as opposed to influencers, has been a key feature of many of the winning campaigns. From the McDonald’s Gaokao campaign that encouraged the nation to rally behind the nation’s youth to Whisper in India that effected behavioural change, influence was evident in myriad forms. Digital needs to be allowed to drive business, should facilitate value exchanges and must be considered as just one of a few points in a customer journey – not the entirety of it. These take-outs came from many of this year’s winners that showed how Asia is investing in emergent digital formats that are paving the way for future brands. Brands, including UNIQLO, Paytm and KFC, are at the vanguard of these formats and demonstrate what can be achieved via digital when a solidly strategic approach is applied. An ‘actions, not words’ approach should be employed by brands across Asia looking to engage consumers who are, according to judge Richard Bleasdale, Managing Partner, Asia Pacific, The Observatory International, “wearied by the ineffectiveness of most marketing and advertising”. Dettol found a way to demonstrate the importance of hand hygiene by representing germs with glitter in Indian schools, while Vodafone helped to protect the privacy of its female customers. These initiatives speak volumes about the brands involved, giving them a powerful point of difference in the marketplace. Storytelling is far from over in Asia– it’s still of paramount importance for brands. Whether it was a humorous campaign that engaged millennials from Seoul Dairy or a touching portrayal of the trials of a transgender mother from personal care brand Vicks in India, persuasive storytelling helped this year’s Prize winners with brand positioning and campaign effectiveness. The WARC Prize for Asian Strategy, now in its eighth year, is a free-to-enter annual competition in search of the best strategic thinking from Asia’s marketing industry. 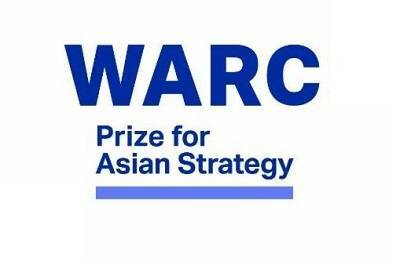 The WARC Prize for Asian Strategy 2019 will open for entries in April.